A devastating critique of free-market politics from distinguished sociologist Pierre Bourdieu. In his most explicitly political work to date, Pierre Bourdieu, France’s leading dissident intellectual, speaks out against the withdrawal of the state from crucial areas of social life. 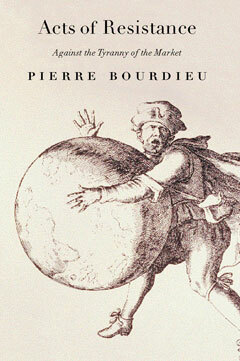 In this sharp, uncompromising attack on the dismantling of public welfare in the name of private enterprise and global competitiveness, Bourdieu stands up for the interests of individuals, groups, and social movements whose views are ignored in the current climate of market triumphalism. He offers a new vision of internationalism that would defend the collective and individual social rights of ordinary people against the prerogatives of the marketplace. This important and timely book, by one of our most outstanding intellectuals, challenges us to rethink the dominant political wisdom.